Mint tree in chocolate mousse earth: wild enough to celebrate the words of one who always danced to her own tune. 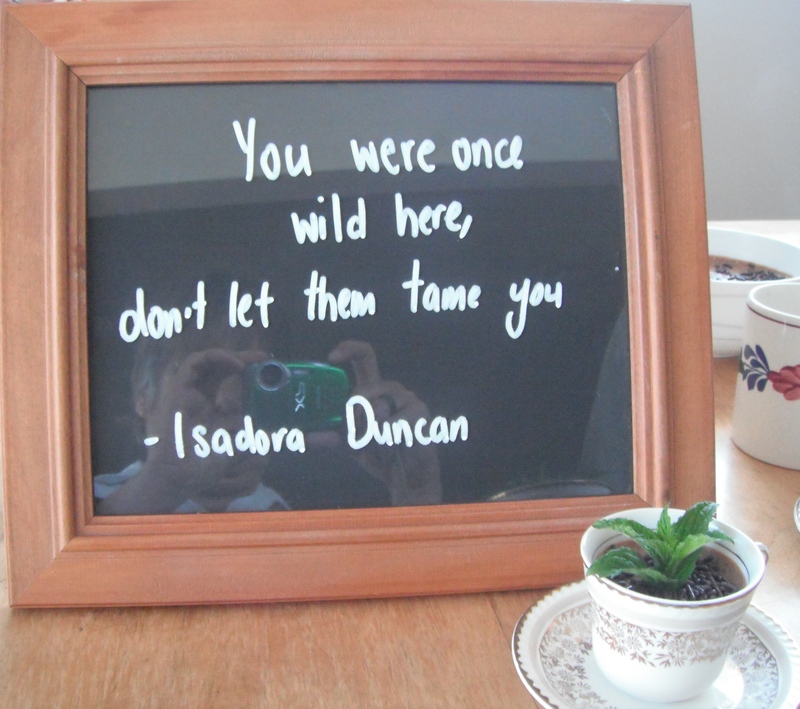 This entry was posted in Union Homestead and tagged don't let them tame you, individual, individuality, motivation, motivational words, sage words, unique, uniqueness, word, words. Bookmark the permalink. Goat Herd, maybe? I’ve lost track of whose turn it might be, but this feels like Goat Herd…OK, maybe Princess Nikita, who looks like she may have a streak of independence in her. I’m absolutely certain about the dessert though – 100% deliciousness. In a teacup, yet. Perfect. You got it in one: The Goat Herd but Princess Nikita was a good second guess. The dessert was fantastic, and I love those little cups getting used.